In case you haven’t noticed, we have decided to kick the start of each month off with an interview as part of our success stories category. So today we have an interview from some more of our friends, who after 2.5 years of marriage and with a baby on the way, realized it was time to put their differences aside and get on the same page in regards to their finances and financial goals. After much deliberation, and of course compromise, they reached a decision that they felt would work for their family. 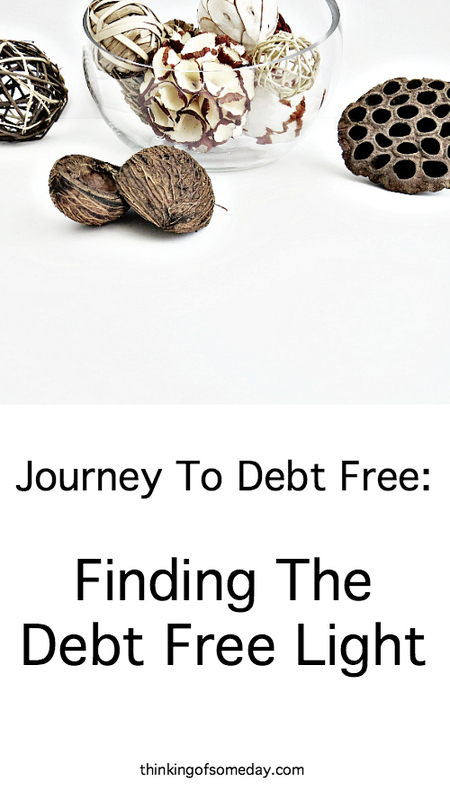 In this interview, which is our very first journey to debt free interview, we have Katrice, who is in her early 30s and is a research chemist, and Jimmy, who is in his late 20s and is a forensic scientist and active military. They have two children, a pre-teen girl and a baby boy. In 2015, we decided it was time for a change. We wanted to have more money and fewer bills. The feeling of owning what you purchased and not having the burden of owing money. The idea of having less responsibility. Trying to maintain good credit, for example, is a responsibility especially when it comes to financing. Katrice: I started tackling my own debt before we were married. But even after we were married I was spending a lot of money. I use to spend over $400/mo on just my maintenance alone (getting my hair done, manicure and pedicures, waxes, you name it! Lol). And I shopped a lot. I wanted to start focusing on paying off debt, but I was caught up in everyone telling me I shouldn’t just work my life away, but to enjoy life as well. I’m glad we finally came to the debt free light and I’m still enjoying life just as much! Oh wow. That was a lot Katrice. At the same time, we can understand the pressure from others as well as from ourselves to enjoy life now. We’re glad that we came to the debt free light and that you guys did as well! We noticed that you guys mentioned trying to maintain good credit, especially when it comes to financing. Does this mean that you’re still using credit cards or loans while on this journey to getting out of debt? Do you plan to still use credit cards and/or loans once you’re out of debt? Yes, we are currently still using credit cards while getting out of debt, but we have the cash on hand to pay the card off before the next billing cycle. This way we don’t accrue any interest charges. We use the credit cards for the perks. And the credit cards that still have a balance on them we don’t use at all. Those are the ones we are working towards paying off. And yes we will still be using credit cards or a loan on certain terms after we finish paying off this debt. However, we are much wiser now when making those decisions and don’t plan to accrue this amount of debt ever again. Besides, we plan to only use the card/loan for the amount of cash we have available for a specific purchase. A LOT! LOL. We bought our first home after our wedding. At this time, we have student loans, credit cards, a vehicle loan and our mortgage. So we have almost $40,000 of debt left, not including our mortgage. We’ve paid off $81,500 of debt! And some of that was one of our car loans! What’s your household income range? Before marriage, combined we were grossing upwards of $140,000. With recent job changes at the end of last year and the beginning of this year, we are grossing upwards of $100,000. How does being in debt make you feel? Jimmy: That everything is over priced in this world. Katrice: I feel like I am drowning (in over my head). What’s your plan for getting out of debt? We currently have a three-year payoff plan, which we started at the end of 2015, to get rid of most of our debt and not including our mortgage. We will have $7,500 left on a student loan and about $2,500 left on a credit card. We can’t pay off the student loan until the military is finished paying their portion. We have a 30-year mortgage term and we do plan to pay it off early after we pay off this other debt and start investing more. What role has doing a budget played in you trying to get out of debt? Our idea of budgeting is tracking where our money goes and how much money we have coming in. It’s similar to a budget, only that we do not set limits, but minimums that must go to certain categories for the household. For example, we pay $150/mo towards our electric bill (our electric bill is not this expensive, by the way). This way we stay ahead on our bills just in case of hardships or an increase that we did not expect during the harsh winter or hot summer months. Any extra money we have left over goes towards paying off another form of debt we currently have. While getting out of debt there are typically 2 schools of thought when it comes to investing. Invest so you can get that compound interest, and especially if your employer is offering a match. Or stop investing so that you can focus only on getting out of debt. So, are you guys investing? We do contribute to a 401k to collect the maximum amount of free money given from our employer. For example, if the employer matches 5% of contributions, then we will contribute 5% to get the full percentage of the match. So we’re currently only investing to get the free money from the employer, nothing outside of that yet. Once we’re out of debt we do plan to eventually begin maxing out Roth IRA’s for each of us. We would also like to max out our 401k as long as they continue to have a company match. At some point, we would even like investing outside of our retirement accounts with any extra money we have. What’s been your hardest challenge with trying to get out of debt? Jimmy: Not having enough money in regards to being able to pay stuff off more quickly. For instance, we waste money on daycare when we could save money by having a nanny for a few years. When we had a nanny it was cheaper than daycare, but we wanted our son to have that interaction with other kids his age as well as more activity during the day to help with his development and motor skills. Also, me eating out sometimes when I don’t have to. Laziness hurts the budget at times. Katrice: For me, the hardest challenge is not adding more debt to the debt we already have when there are things that we want to buy. I fear going into debt again. What’s been your motivation to stay on this journey to being debt free? The freedom to do whatever we want with our money with no worries or a care in the world. What advice would you give to someone who doesn’t see the need to get out of debt or a young person who hasn’t accrued any debt yet? Our advice is to weigh the pros and cons of what you are going into debt for. Ask yourself is it worth it? For example, deciding to have a luxury wedding or going to the Justice of the Peace (the court house). 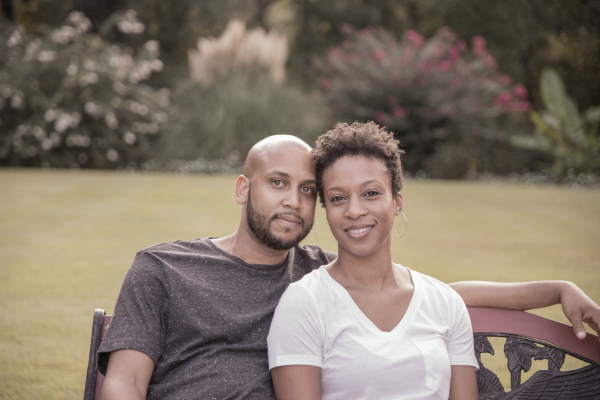 Our Thoughts: Thank you Katrice and Jimmy for sharing your story about your journey to debt freedom. We’re sure that your story is one that many people can relate to. Continue to follow the “debt free light” and we’re sure that’ll help you to finish up your journey.